Sweet little Durtle the sea turtle gets lost from his mom and his dad just swimming along one day! Will he find his way back to them?!? 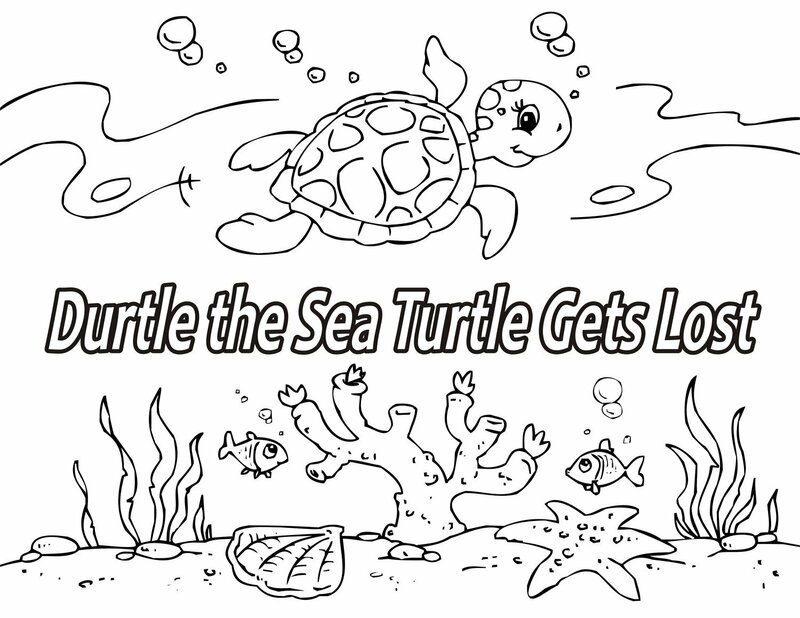 The story of Durtle is told in a fun 22 page coloring storybook. Your little ones can color the story pages and design their very own storybook! Makes story time even more fun and interactive! Click here to purchase the sea turtle patterns and make your own plush characters from the story!